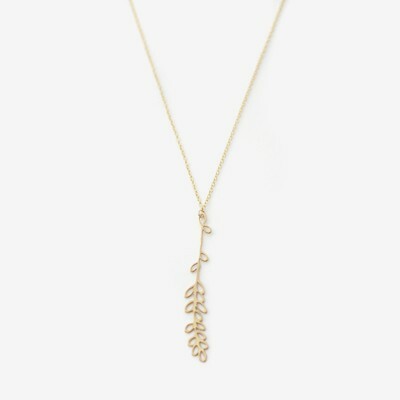 This little leafy twig makes the lightest pendant necklace. Available in 14k gold or rose gold plated steel. Pendant: 2" long. Chain is 16". Extensions available. Rose Gold is temporarily on backorder.